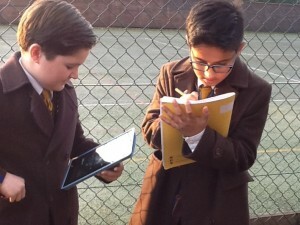 The School recognises the importance of computing in our rapidly changing modern world. In order to prepare our pupils, the School is equipped with an up-to-date computer suite. The children are introduced to this facility at a young age, supporting their learning in a variety of subjects. They benefit from specialist instruction on a weekly basis and are taught how to use the Internet and e-mail facilities safely and wisely. The younger children use a variety of computer programmes and the resourceful Sherston educational series, which enhances their learning and helps them to become confident, able computer users. In the Junior School they are taught how to use the ‘Office’ group of programmes, Word, Excel, Outlook and PowerPoint, which is an invaluable resource for them to begin their secondary education. 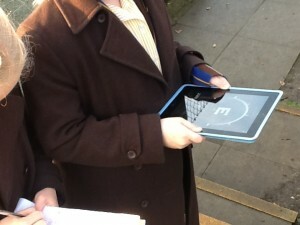 They also benefit from some of the latest computing software for developing their programming skills. The Computing Programme of Study focuses on Computational thinking, Creativity, Networks, Communication, Productivity and Programming. "Computer skills are high and are used increasingly by older pupils." 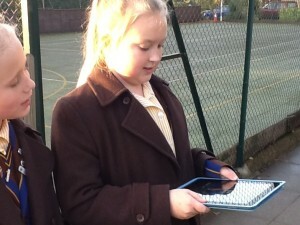 The children are finding more and more benefits of having the iPads. Recently they were used for practical maths work when hunting for treasure. The children were given directional and specific degree co-ordinates to locate the hidden treasures. The Upper 2 children worked in teams with some teams writing directional instructions and the other team following the instructions to find the treasure. 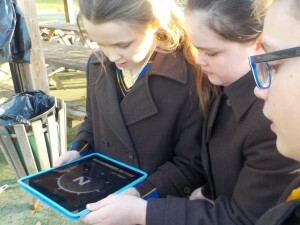 The children used the compass app on the ipad to give and follow instructions in the form of bearings. Upper Two have been trialing making their own animations. The clips below show some of the pupils actually making the animations and a completed clip. The pupils collaborated really well together with some excellent results.